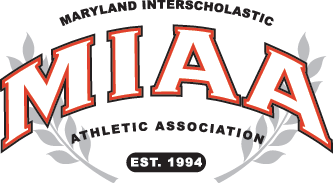 Two teams with many common league rivals, but who do not reside in the same conference with each other, met in Roland Park Tuesday night to tip off their respective 2018-19 basketball seasons, as Boys’ Latin of the MIAA A Conference and St. Maria Goretti of the Baltimore Catholic League put on an outstanding show at BL’s Gelston Center with the Gaels from Hagerstown escaping with a 60-56 victory. Sidney McCray, a one-time standout at St. Paul’s School and the new head coach at Goretti, notched his first win with the Gaels. The thriller was in doubt until the Gaels’ Abdou Tsimbola nailed two free throws with three seconds to go to give his team a four point lead, which proved to be enough to secure the win. RJ Blakney led St. Maria Goretti with 17 points. Goretti held a 57-51 with 49 seconds to go, which put Lakers in a situation where they had to foul the Gaels to to get back in the game. The strategy almost paid off, as Goretti converted just four free throws down the stretch on 10 attempts, but they were able to hang on and get the win. Four Gaels finished in double figures for McCray. R.J. Blakney led the way with 17, Rahsaan Edwards had 15, Tsimbila threw in 12 and Przemek Golek added 11. BL was trailing by just two when Golek hit a huge 3-pointer with 2:14 that seemed to give Goretti some breathing room, but the game was far from over. The fiesty Lakers wouldn’t go away. Cameron Watts, who led all scores with 22 points, hit two free throws with 23 seconds left and then poured in a trey with 12 seconds to go, to cut the Goretti lead to one, at 57-56. The Gaels’ Edwards made one of two free throws, and Tsimbola a pair, all with under 10 seconds to go, after the Watts triple, and the few throws made the difference. Watts finished with five threes, and he had nine points in the fourth quarter to keep the Lakers in the game. BL held a 31-25 lead at the half, and the Lakers finished with 12 threes, but they came up short against a Goretti team which is expected to be a BCL power this season. The Lakers, who made a surprising run to the MIAA A Conference title game last year, proved that they will again be a contender in their league. Golek 11, Blakney 17, Tsimbila 12.